Sport (UK) or sports (US) are all usually forms of competitive physical activity or games which, through casual or organised participation, aim to use, maintain or improve physical ability and skills while providing enjoyment to participants, and in some cases, entertainment for spectators. Usually the contest or game is between two sides, each attempting to exceed the other. Some sports allow a tie game; others provide tie-breaking methods, to ensure one winner and one loser. A number of such two-sided contests may be arranged in a tournament producing a champion. Many sports leagues make an annual champion by arranging games in a regular sports season, followed in some cases by playoffs. Hundreds of sports exist, from those between single contestants, through to those with hundreds of simultaneous participants, either in teams or competing as individuals. In certain sports such as racing, many contestants may compete, each against each other, with one winner. 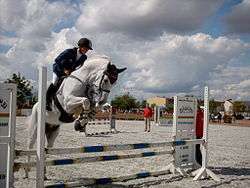 Sport is generally recognised as system of activities which are based in physical athleticism or physical dexterity, with the largest major competitions such as the Olympic Games admitting only sports meeting this definition, and other organisations such as the Council of Europe using definitions precluding activities without a physical element from classification as sports. However, a number of competitive, but non-physical, activities claim recognition as mind sports. The International Olympic Committee (through ARISF) recognises both chess and bridge as bona fide sports, and SportAccord, the international sports federation association, recognises five non-physical sports: bridge, chess Pictures of Chess, draughts (checkers), Go, and xiangqi, and limits the number of mind games which can be admitted as sports. The International Olympic Committee recognizes some board games as sports including chess. 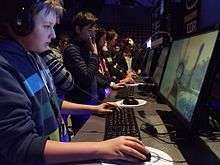 There has been an increase in the application of the term "sport" to a wider set of non-physical challenges such as video games, also called esports, especially due to the large scale of participation and organised competition, but these are not widely recognised by mainstream sports organisations. According to Council of Europe, European Sports Charter, article 2.i, " "Sport" means all forms of physical activity which, through casual or organised participation, aim at expressing or improving physical fitness and mental well-being, forming social relationships or obtaining results in competition at all levels.". Artifacts and structures suggest sport in China as early as 2000 BC. Gymnastics appears to have been popular in China's ancient past. Monuments to the Pharaohs indicate that a number of sports, including swimming and fishing, were well-developed and regulated several thousands of years ago in ancient Egypt. Other Egyptian sports included javelin throwing, high jump, and wrestling. Ancient Persian sports such as the traditional Iranian martial art of Zourkhaneh had a close connection to warfare skills. Among other sports that originate in ancient Persia are polo and jousting. 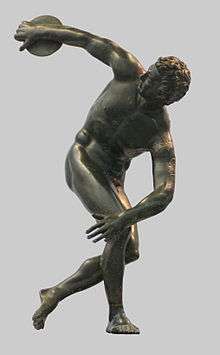 Sports have been increasingly organised and regulated from the time of the ancient Olympics up to the present century. Industrialisation has brought increased leisure time, letting people attend and follow spectator sports and participate in athletic activities. These trends continued with the advent of mass media and global communication. Professionalism became prevalent, further adding to the increase in sport's popularity, as sports fans followed the exploits of professional athletes — all while enjoying the exercise and competition associated with amateur participation in sports. Since the turn of the 21st century, there has been increasing debate about whether transgender sportpersons should be able to participate in sport events that conform with their post-transition gender identity. Key principles of sport include that the result should not be predetermined, and that both sides should have equal opportunity to win. Rules are in place to ensure that fair play to occur, but participants can break these rules in order to gain advantage. Participants may choose to cheat in order to satisfy their desire to win, or in order to achieve an ulterior motive. The widespread existence of gambling on the results of sports fixtures creates the motivation for match fixing, where a participant or participants deliberately work to ensure a given outcome. Fernanda Brito of Chile playing women's doubles tennis at Wimbledon in 2010. 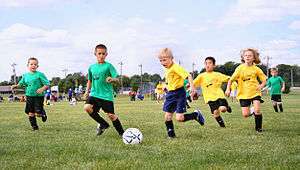 Youth sports present children with opportunities for fun, socialization, forming peer relationships, physical fitness, and athletic scholarships. Activists for education and the war on drugs encourage youth sports as a means to increase educational participation and to fight the illegal drug trade. According to the Center for Injury Research and Policy at Nationwide Children's Hospital, the biggest risk for youth sports is death or serious injury including concussion. These risks come from running, basketball, association football, volleyball, gridiron, gymnastics, and ice hockey. Disabled sports also adaptive sports or parasports, are sports played by persons with a disability, including physical and intellectual disabilities. As many of these based on existing sports modified to meet the needs of persons with a disability, they are sometimes referred to as adapted sports. 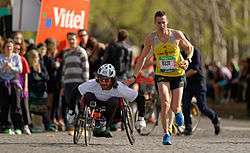 However, not all disabled sports are adapted; several sports that have been specifically created for persons with a disability have no equivalent in able-bodied sports. Both amateur and professional sports attract spectators, both in person at the sport venue, and through broadcast mediums including radio, television and internet broadcast. Both attendance in person and viewing remotely can incur a sometimes substantial charge, such as an entrance ticket, or pay-per-view television broadcast. It is common for popular sports to attract large broadcast audiences, leading to rival broadcasters bidding large amounts of money for the rights to show certain fixtures. The football World Cup attracts a global television audience of hundreds of millions; the 2006 final alone attracted an estimated worldwide audience of well over 700 million and the 2011 Cricket World Cup Final attracted an estimated audience of 135 million in India alone . Some sports, or individual competitions within a sport, retain a policy of allowing only amateur sport. 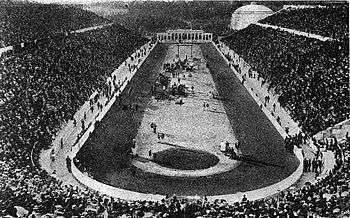 The Olympic Games started with a principle of amateur competition with those who practiced a sport professionally considered to have an unfair advantage over those who practiced it merely as a hobby. From 1971, Olympic athletes were allowed to receive compensation and sponsorship, and from 1986, the IOC decided to make all professional athletes eligible for the Olympics, with the exceptions of boxing, and wrestling. Technology plays an important part in modern sports. With it being a necessary part of some sports (such as motorsport), it is used in others to improve performance. Some sports also use it to allow off-field decision making. In 2014, new technology led to the introduction of hybrid engines in Formula One in 2014, as a way of increasing fuel efficiency. The cars use an energy recovery system similar to, but more effective than, the KERS system that was previously used, which recovers energy from braking and the exhaust. Another innovation is the Drag reduction system, which involves opening a slot in a car's rear wing, to reduce aerodynamic drag in order to increase top speed and promote overtaking in motor racing. It has been used in Formula One since 2011, Formula Renault 3.5 since 2012, and Deutsche Tourenwagen Masters since 2013. The increase in technology has also allowed many decisions in sports matches to be taken, or reviewed, off-field, with another official using instant replays to make decisions. In some sports, players can now challenge decisions made by officials. In football, Goal-line technology makes decisions on whether a ball has crossed the goal line or not. The technology is not compulsory, but was used in the 2014 FIFA World Cup in Brazil, and the 2015 FIFA Women's World Cup in Canada, as well as in the Premier League from 2013–14, and the Bundesliga from 2015–16. In the NFL, a referee can ask for a review from the replay booth, or a head coach can issue a challenge to review the play using replays. The final decision rests with the referee. A video referee (commonly known as a Television Match Official or TMO) can also use replays to help decision-making in rugby (both league and union). In international cricket, an umpire can ask the Third umpire for a decision, and the third umpire makes the final decision. Since 2008, a decision review system for players to review decisions has been introduced and used in ICC-run tournaments, and optionally in other matches. Depending on the host broadcaster, a number of different technologies are used during an umpire or player review, including instant replays, Hawk-Eye, Hot Spot and Real Time Snickometer. Hawk-Eye is also used in tennis to challenge umpiring decisions. In the history of Ireland, Gaelic sports were connected with cultural nationalism. Until the mid 20th century a person could have been banned from playing Gaelic football, hurling, or other sports administered by the Gaelic Athletic Association (GAA) if she/he played or supported football, or other games seen to be of British origin. Until recently the GAA continued to ban the playing of football and rugby union at Gaelic venues. This ban, also known as Rule 42, is still enforced, but was modified to allow football and rugby to be played in Croke Park while Lansdowne Road was redeveloped into Aviva Stadium. Until recently, under Rule 21, the GAA also banned members of the British security forces and members of the RUC from playing Gaelic games, but the advent of the Good Friday Agreement in 1998 led to the eventual removal of the ban. Nationalism is often evident in the pursuit of sports, or in its reporting: people compete in national teams, or commentators and audiences can adopt a partisan view. On occasion, such tensions can lead to violent confrontation among players or spectators within and beyond the sporting venue, as in the Football War. These trends are seen by many as contrary to the fundamental ethos of sports being carried on for its own sake and for the enjoyment of its participants. A very famous case when sports and politics collided was the 1972 Olympics in Munich. Masked men entered the hotel of the Israeli olympic team and killed many of their men. This was known as the Munich massacre. 1 2 3 Council of Europe. "The Europien sport charter". Retrieved 5 March 2012. ↑ "135 mn saw World Cup final: TAM". Hindustan Times. 10 April 2011. Retrieved 1 August 2013. ↑ "Gaining Steam in Sports Technology". Slice of MIT. Retrieved 3 January 2015. ↑ "F1 2014: All aboard the 'power train' - new rules explained". BBC Sport. 24 January 2014. Retrieved 8 June 2015. ↑ "2014 F1 explained: The power unit". Racecar Engineering. Retrieved 8 June 2015. ↑ "How Formula One's Amazing New Hybrid Turbo Engine Works". Jalopink. 22 January 2015. Retrieved 8 June 2015. ↑ "Drag Reduction System". Formula One. Retrieved 8 June 2015. ↑ "FR3.5 announces 2012 car plans". Autosport. 27 May 2011. Retrieved 8 June 2015. ↑ Fulton, Gareth; Bairner, Alan (2007). "Sport, Space and National Identity in Ireland: The GAA, Croke Park and Rule 42.". Space & policy. 11 (1): 55–74.